American troops were stationed in New Zealand between 1942 and 1944, during the Second World War. This was a boon to local fashion designers because servicemen bought garments for their New Zealand girlfriends. 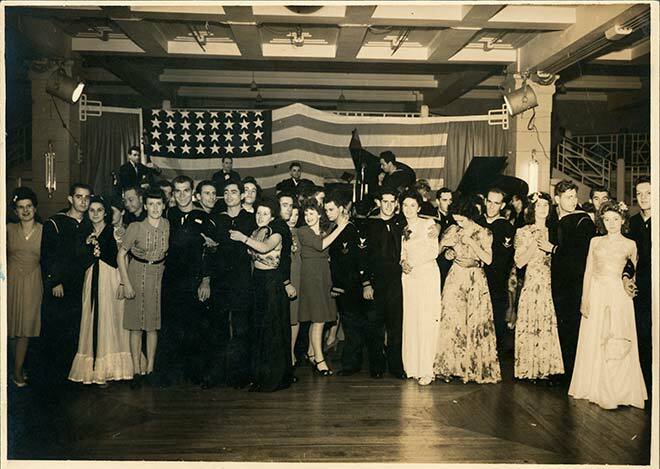 It is not known whether any of these women attending a dance at Wellington's Majestic Cabaret in 1942 are wearing dresses made by local designers, but it is possible – American servicemen were generous buyers of women's evening wear.